So you can imagine how excited I was yesterday! 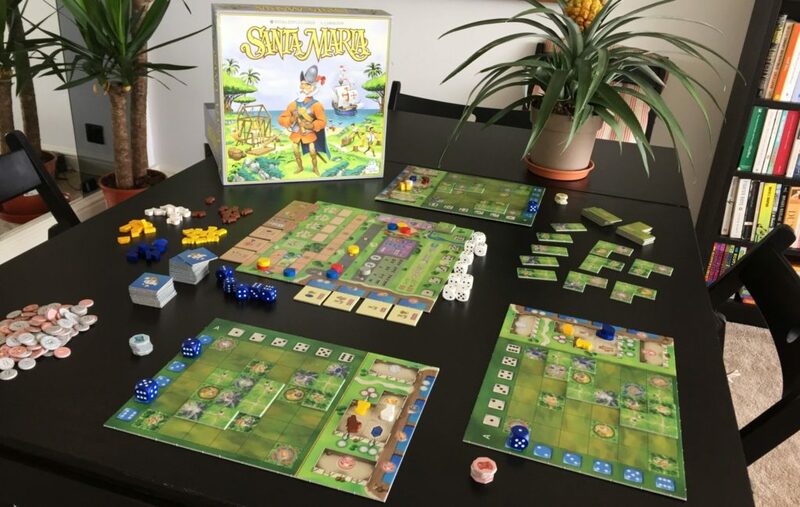 The release of the first “deluxe” expansion, Creation and Control, containing 3 copies each of 55 new cards. The same evening I ended up taking two sets to the safehouse of my Netrunner nemesis for a good debugging. Here’s what we found out. WARNING! 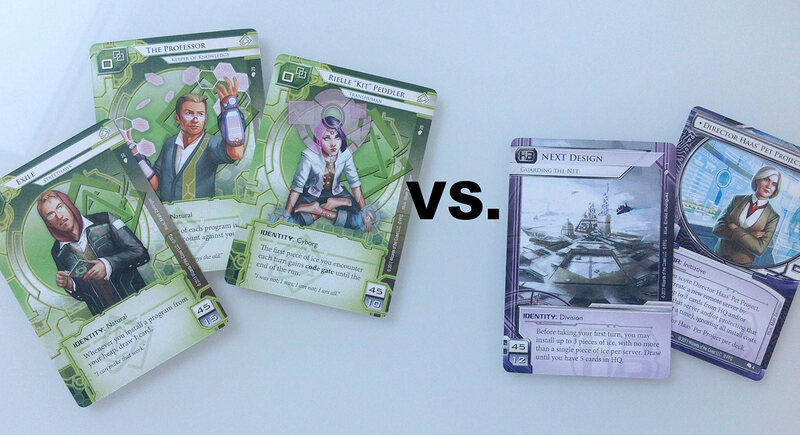 This review is, perhaps unsurprisingly, going out to any Netrunner players we have reading this, so it’ll be a little more in-depth than our usual coverage. That said, when I was a kid I used to love reading about games I didn’t understand, so why not pull up a cyber-chair? 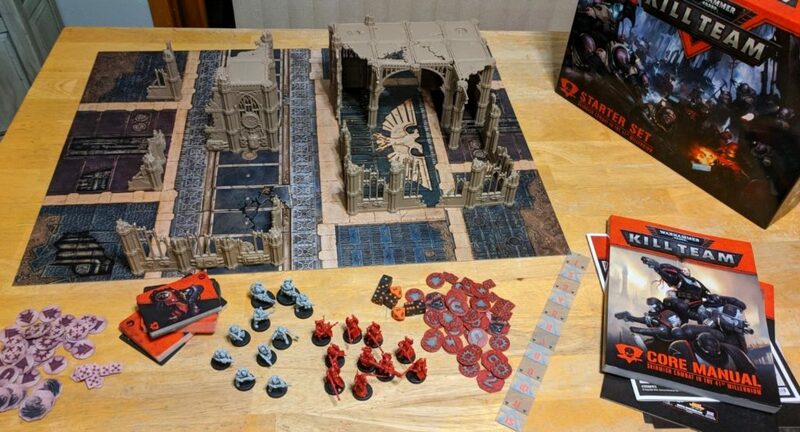 The first thing to know about Creation and Control is that unlike the monthly datapacks that Fantasy Flight have been launching globally like little mortar shells of fun, Creation and Control is much more focused. In the box is a sneeze of neutral cards and a wealth of cards for just two of the game’s seven factions. The creepy cyborg-peddlers of Haas-Bioroid, and the Shapers, the architects and artists of the hacking scene. It also comes with two preconstructed decks, which made testing the new cards in Creation and Control pretty straightforward, if embarrassing. Myself and Si, the above nemesis, know our own decks like our own children. This time? We had no idea what we were doing. It was like trying to duel with speedboats. After about four hours of stalling our engines, swearing, and ineffectually splashing each other, we were able to grasp what the hell this box offered. Right. Si and I are of one mind: Haas-Bioroid, until now, has been boring. 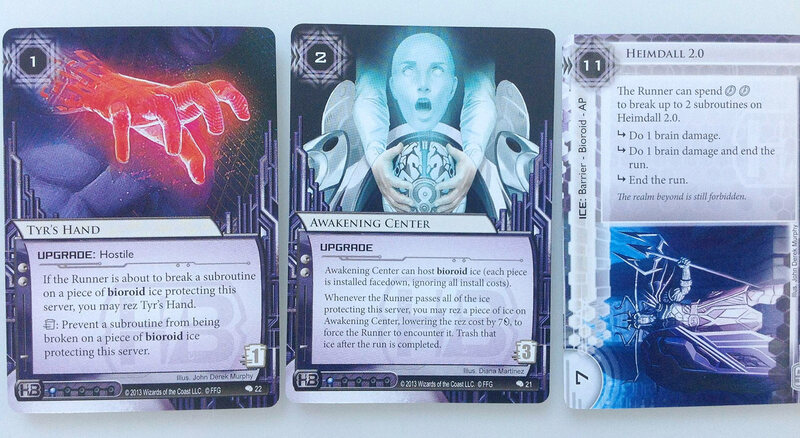 Compared to the traps of Jinteki, the jokes of NBN or the indiscriminate anger of Weyland, Haas-Bioroid’s thing has always been to play the game straight: Advance agendas behind yards of deathly cool Ice. Then once you score them, the powers of your agendas feed back into your fortress, making you even better at advancing agendas behind your castle walls. On paper, I can see the appeal of building a fortress. In practice, though, Haas-Bioroid is fun when you win, but boring when you lose. Compared to the high-stakes game every other corp is playing (and enjoying), Bioroid are all about staying one step ahead of the hacker in terms of defense. If the hacker’s ahead of you, you’re nothing, and you tend to stay as nothing. The new Bioroid cards in Creation and Control have two things in common: They’re unmistakably Bioroid. The Ice is brutal. The assets, upgrades and agendas single-minded: Stay out. I’m busy. I’ll kill you. But now they’re also much, much more dangerous. For your opponent, sure. But mostly for you. Successful Demonstration is a great example. At 5 credits for 1 click it’s an obscene economy card, but that need to have a runner bounce off a server first makes it nuanced. Get two of these in one hand, and you’ll be desperate to coax the runner into an attack. 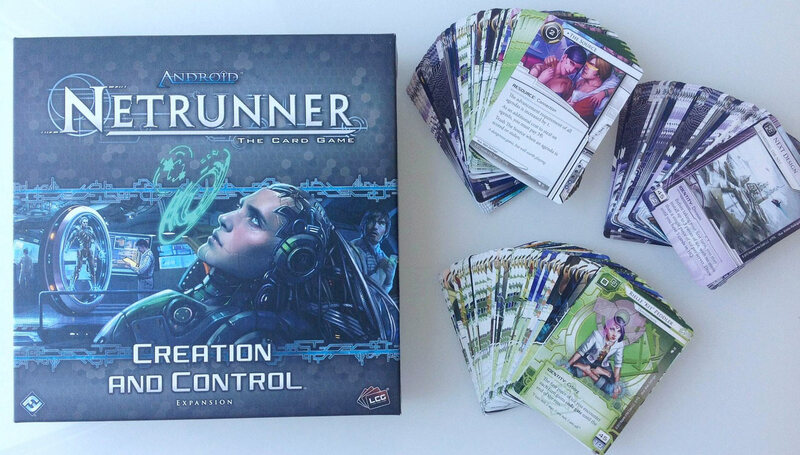 Finally, Haas Bioroid is playing the game of Android: Netrunner. Or there’s Alix T4LB07, a hedge fund robot who gains a token every time you install a card. Spend a click and trash her, and you’ll get 2 credits for every token. Assuming the runner doesn’t get in and trash her first, of course, since you’ll have to reveal her to use her. It’s a similar story with the lovely Director Haas. As long as she’s rezzed, you’ll get an additional click to spend each turn. Should the runner get in and trash her, though, she’s worth 2 agenda points. It’s the ultimate test of Bioroid. Think you can keep the Runner out? Alright. Prove it. Most of the new cards are this kind of double-edged sword, from Ice that simply acts as the foundation of a super-server (but is otherwise useless), to cards that rely on the Runner spending clicks to navigate past Bioroid Ice, which was previously just a weak spot. I wasn’t interested in running a Bioroid deck before. Now, I’m so spoiled for choice I can’t decide how to build it. Absolutely fantastic fun. Fantasy Flight has been pretty clear about how they envision Shapers as having “a program for every situation”. If Creation and Control was able to make Haas Bioroid’s defensive play more appealing, it’s also able to give the Shapers… well, shape. The new cards are as powerful as they are specific. Exploratory Romp lets you remove advancement tokens from a card on a successful run. Atman is a silver bullet of an Icebreaker that’ll let you target any Ice of a specific strength, at incredible expense. Escher lets you rearrange all of the corp’s Ice. Cyber-Cypher gets through codegates better than anything I’ve ever seen, but only works on a single server of your choice. All of this stuff is hugely situational. It’s either useless, or absolutely devastating. And this is what Shapers are meant to be about. I get it now. Criminal hackers try and control the corp, Anarchs apply terrible and unpredictable pressure. Shapers? Shapers wait. They watch, clicking their teeth. 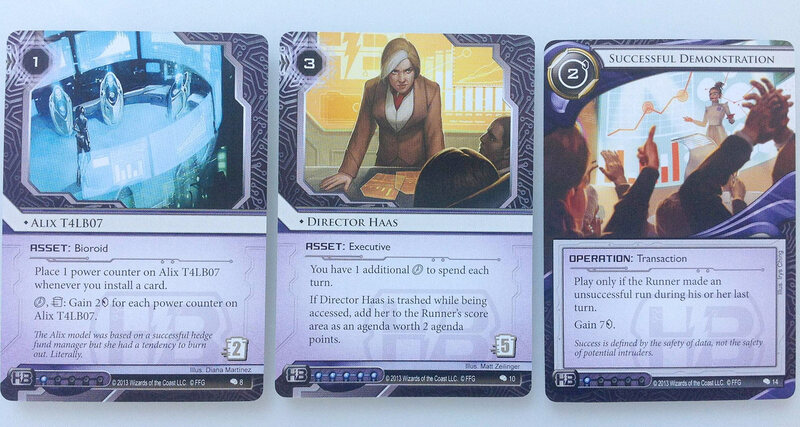 Then when the moment’s right they reach into their library of a deck for the right key and simply unlock the corporation. It’s this power to produce the right card at the right time that’s also present in Creation and Control. Self-Modifying Code is a terrifying program. You install it, begin the run, then the second you know what you’re up against you can pay 2 credits to evolve it into anything you feel like pulling out of your deck. Freelance Coding Contract is a powerful economy card that lets you sell any programs in your hand you don’t need, then Clone Chip and Scavenging let you pull any lost programs right back out of your trash again. Meanwhile, Ice Analyzer, Omni-Drive and Sahasrara all offer recurring credits for the installation and use of programs. With Creation and Control, programs are made as malleable as putty. Find them, sell them, revive them, use them, sell them again. 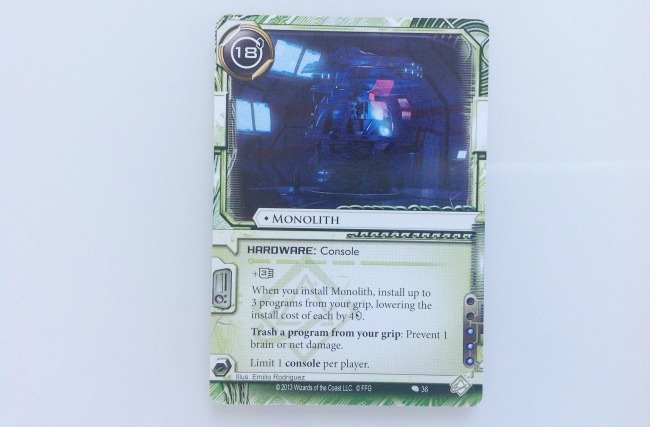 Oh, let’s talk about Monolith, too. A new computer for your hacker to develop! Yep. 18 credits. Three pre-installed programs. Incredible damage defense. I don’t think I have the lime-sized balls required to run a deck with this in it, but I’d love to play against someone who does. So, that’s Creation and Control. SHOULD YOU GET IT? …only maybe, is my surprise conclusion. 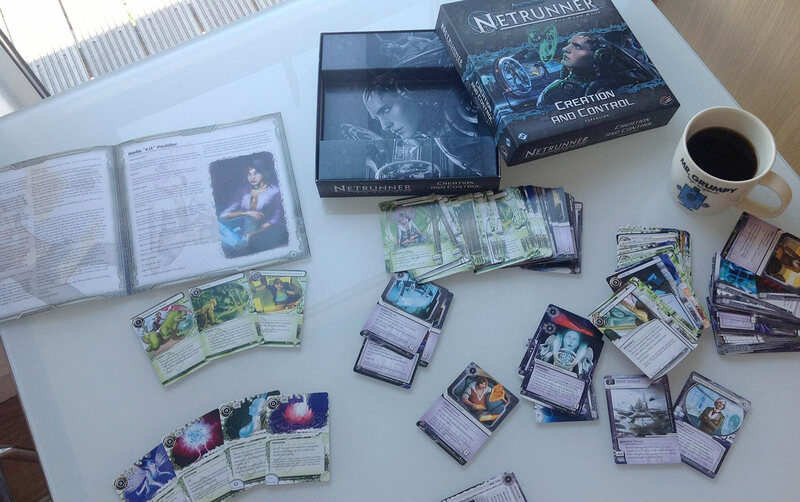 I’m happy with it, because I’m obsessed with Netrunner and any new cards feel like cooling rain on a summer’s day, but it’s not the must-buy I thought it might be. You’re not getting that many more cards for your money than if you just spent the cash on Data Packs instead. Not only that, since the neutral cards included aren’t particularly numerous, if you’re not running Bioroid or Shaper decks and did want to save money, this is the set for you to skip. But honestly, I’m expecting most of you to have already made your mind up. 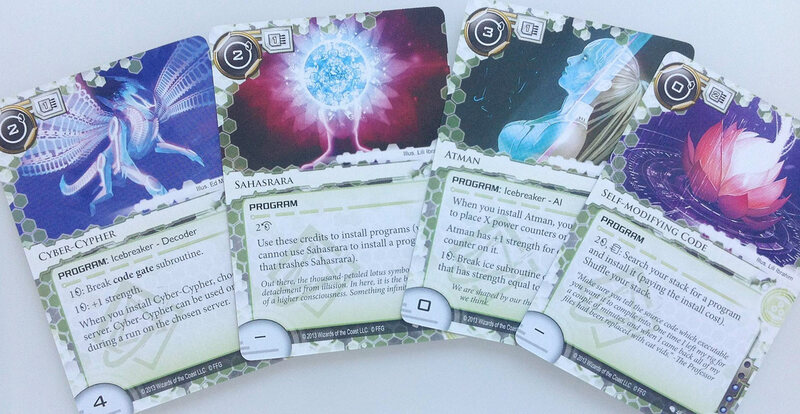 It’s more Netrunner cards! 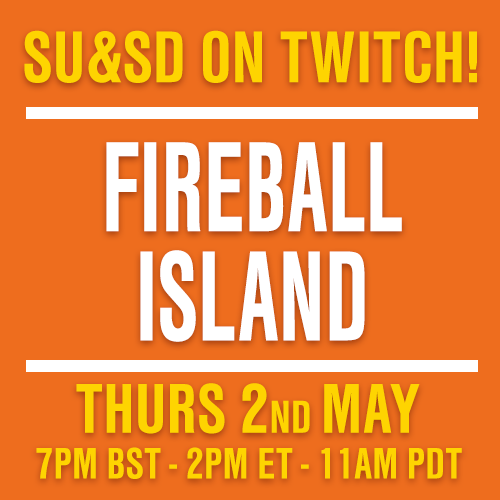 It’s so many it’ll change the metagame of you and your friends for months! Of course you need it. Hell, you’ve probably already bought it, haven’t you? If you haven’t, I’d hurry. I doubt it’ll be in stock for much longer.